Ranga Pens is amongst the one quality pen manufacturer in India. Infact they are the only manufacturer in India who have the premium colors and quality ebonite pens apart from regular ebonite and acrylic pens. I have recently organized 3 group buys for three different model of thiers. Model 4C, Model 3 and Bamboo Model. And i have bought all three models through group buy. I will be reviewing all the models one by one. 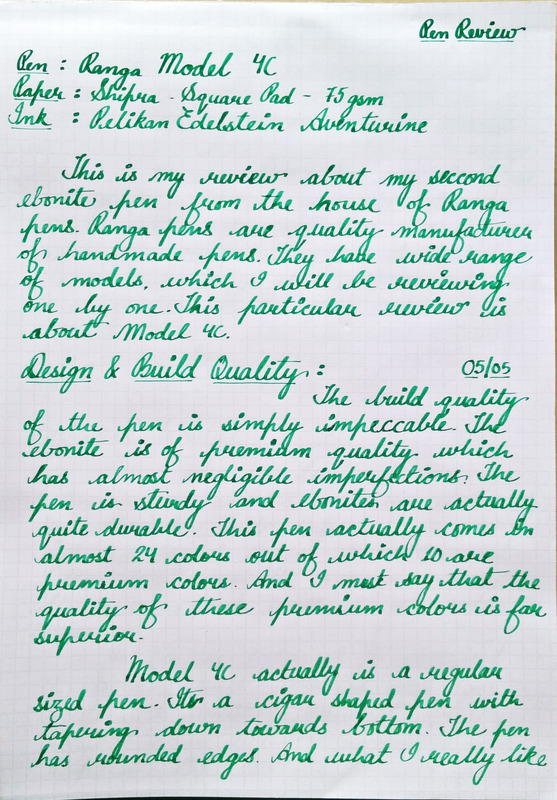 I will be reviewing Model 4C in this post. This happens to be actually my second pen from the house of Ranga Pens and first one being Bamboo Model. Which i will be reviewing next. The build quality of this pen is impeccable. Its very well polished and there is no marks at all i see on the pen. 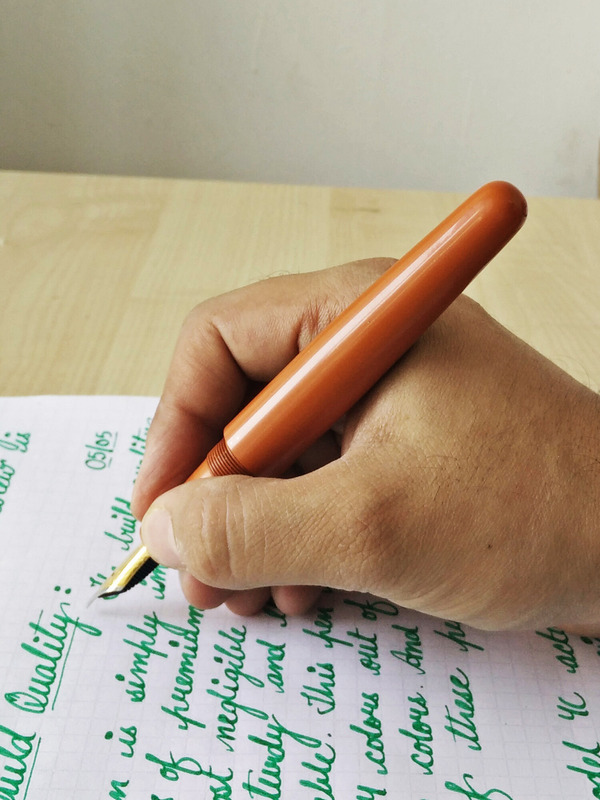 Believe me its an handmade pen and when you hold the pen in your hand you wont be able to judge whether it’s handmade or not. Such and excellent finish Mr. Kandan has given on this pen. The quality of this premium ebonite is really really good. There are hardly any imperfections that you might otherwise find in regular color ebonites. The pen is quite sturdy and being ebonite it is more durable. The pen actually comes in approximately 24 color options out of which 10 are premium ebonite colors. 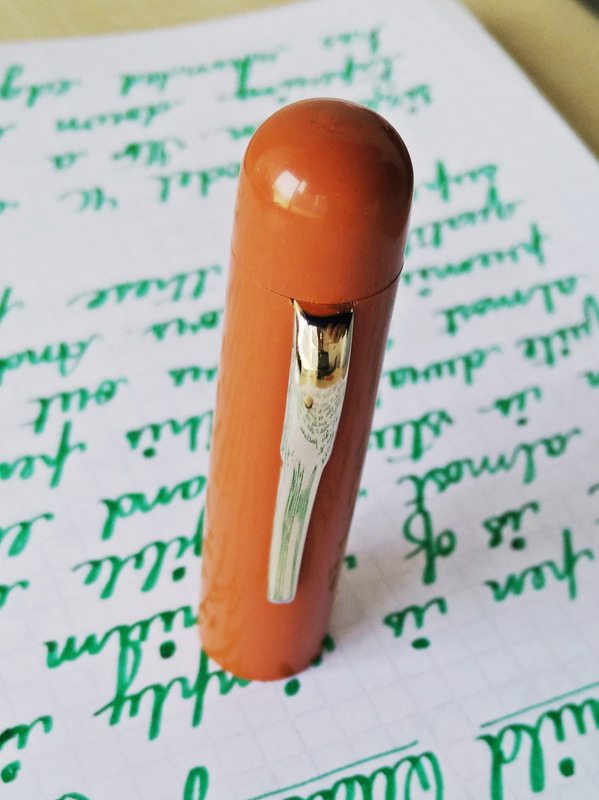 The pen in review is premium orange ebonite which actually is muted earthy orange color. It really feel amazing in your hand. And its certainly a looker. People look at this pen and actually take it from my hands just to feel it of not write with it. 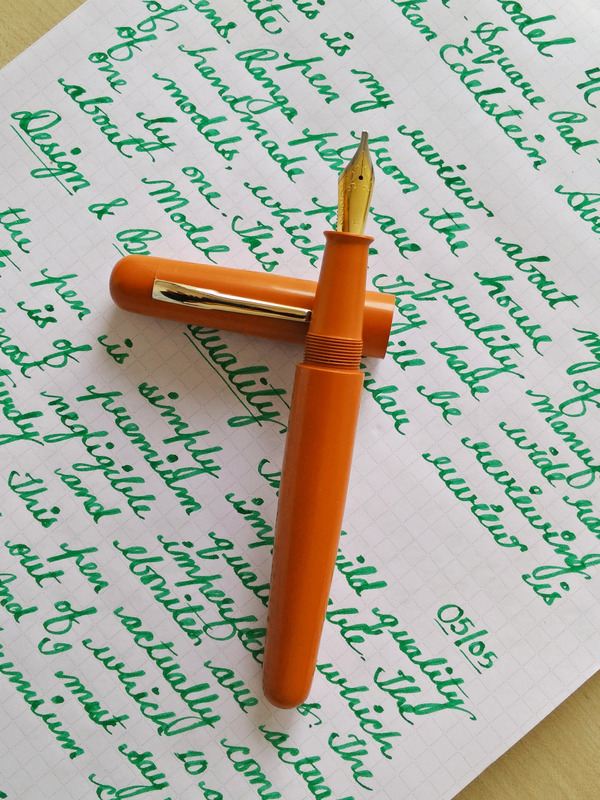 Such is the charming factor of this premium color ebonite. And yes i have noticed that these premium ebonites are far superior over the regular ebonites. 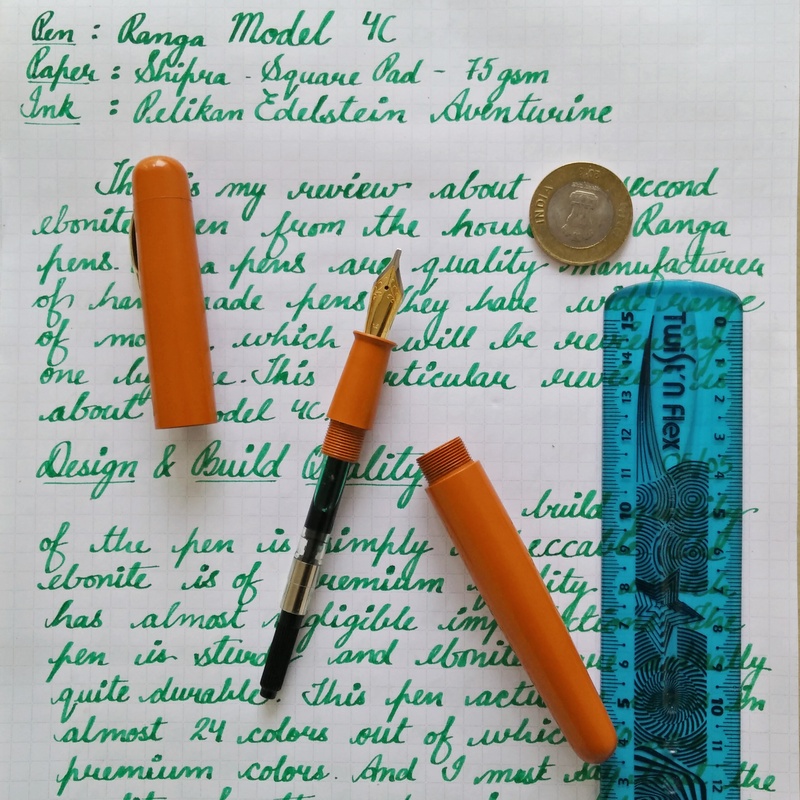 Model 4C is actually a regular sized pen with bit of girth. 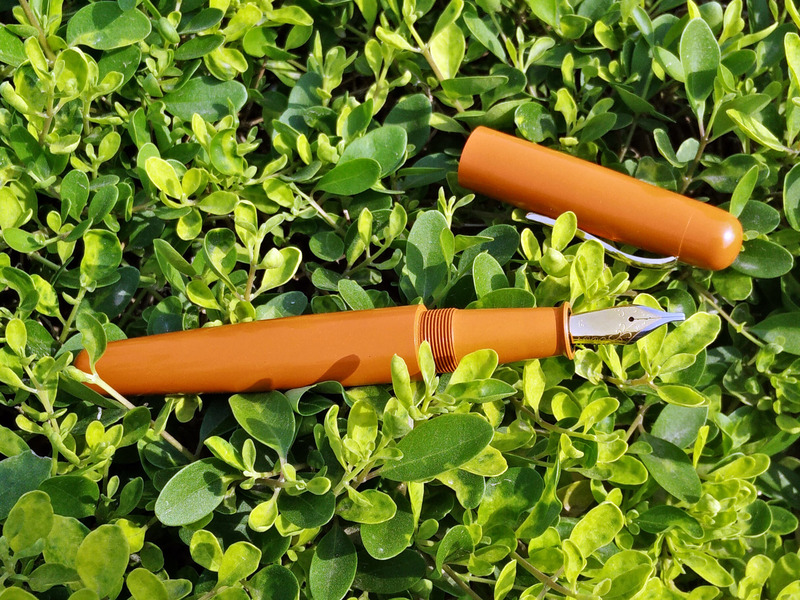 It’s a cigar shaped pen which tapers down to the bottom and has rounded top and bottom. 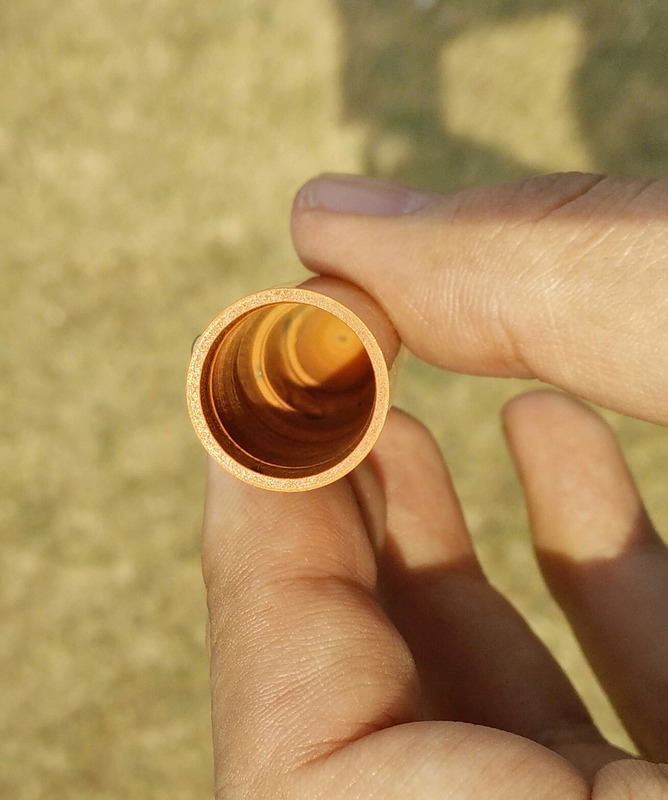 The cap is flushed with the barrel and you would hardly notice the joint. No imperfection. Superior attention paid to the product. Cap Clip is strong and sturdy and pen can easily stick to the shirt pocket. I have one qualms which is very minor and that is gold trim which is clip will turn to chrome soon. But i have an option to replace the cap clip easily. Also i found that clip was not in alignment and was off centred when pen arrived , but again that was easily taken care off by unscrewing the cap finial and straightening the clip. 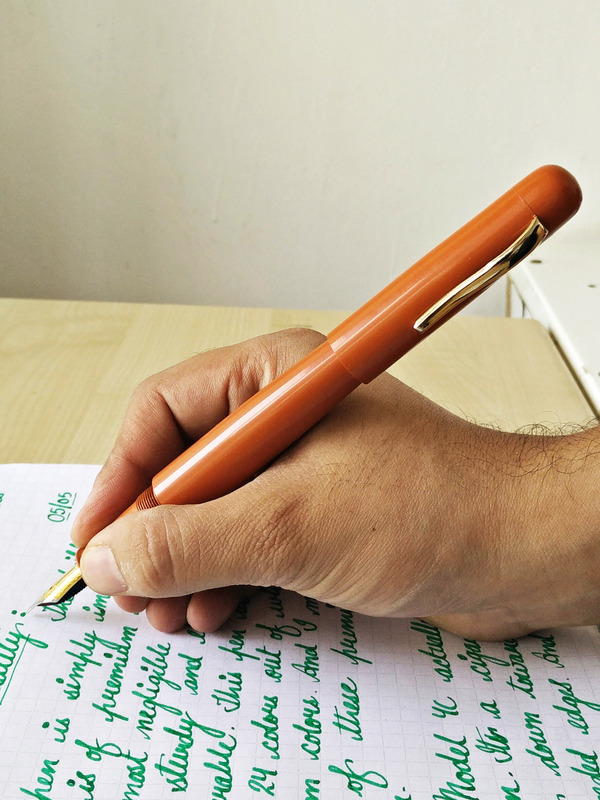 The grip section of the pen gradually tapers slightly towards the top and is also made of the same material. Complete pen is made of ebonite. 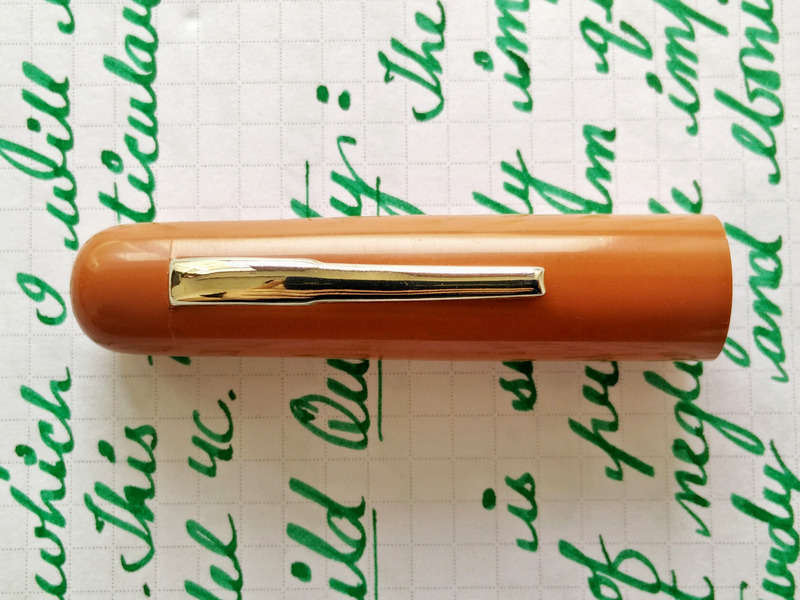 I am really really happy with the top notch quality and finish on the pen. 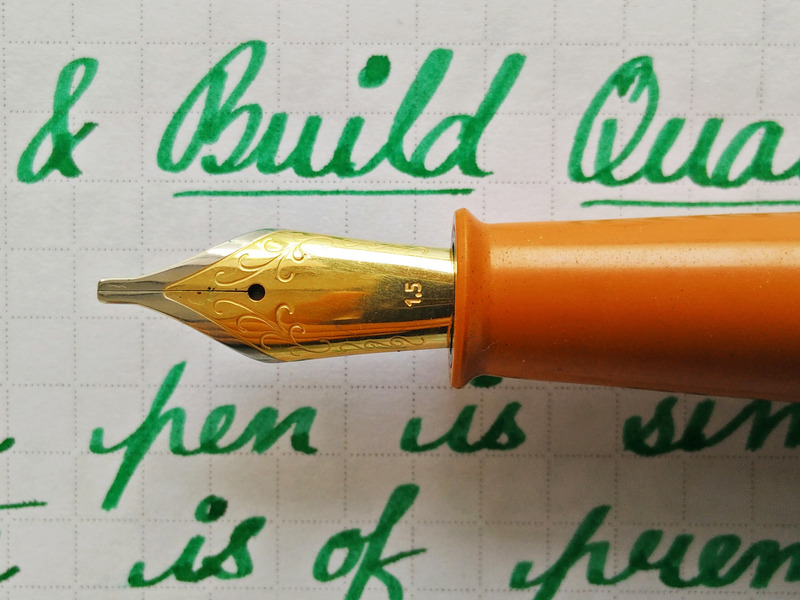 Overall I am extremely happy with quality, built and finish of the pen. This is probably amongst the best pens from India. 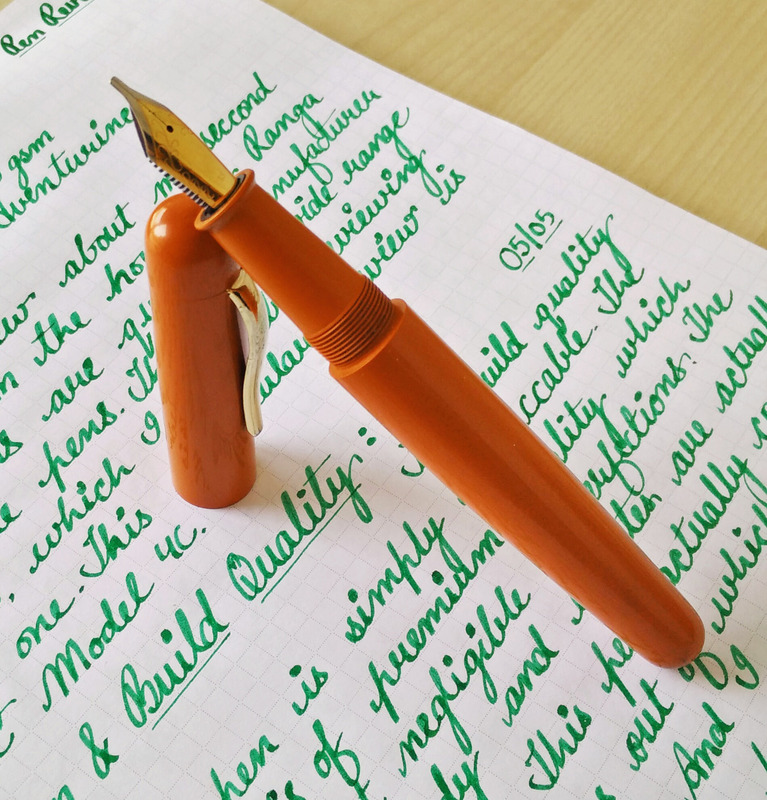 The pen measures 150 mm when capped and 135 mm when uncapped including the nib. The dia of the cap is 15 mm and barrel tapers down from center to the bottom to 9mm from 15 mm. The average grip section dia is 10 mm and length is 30 mm. 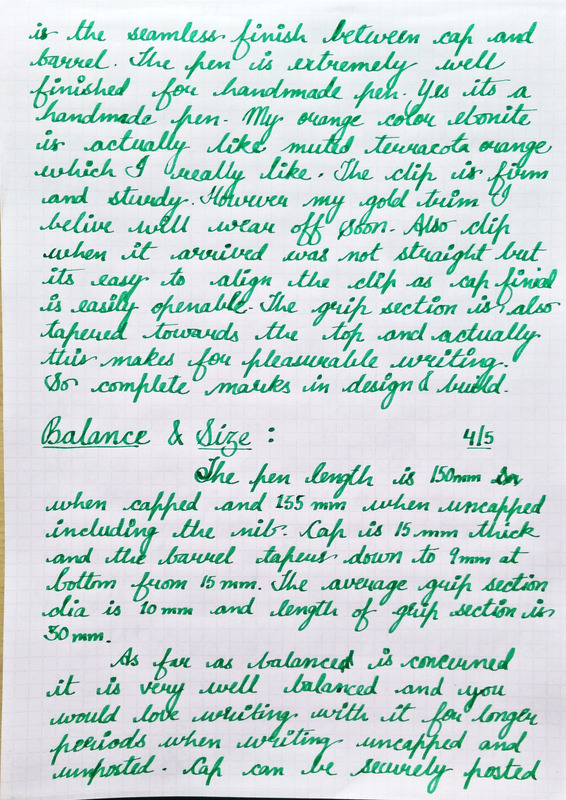 As far as balance is concerned it is very well balanced and you would love writing with this pen uncapped for longer periods. However I beleive the posting cap makes it extremely large at 180mm (yes cap posts securely) and for me it becomes slightly uncomfortable. 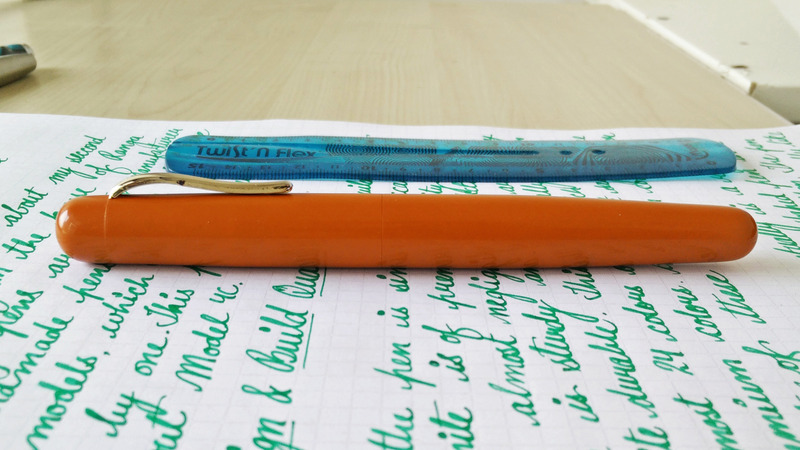 I love writing with this pen uncapped and unposted for longer periods. 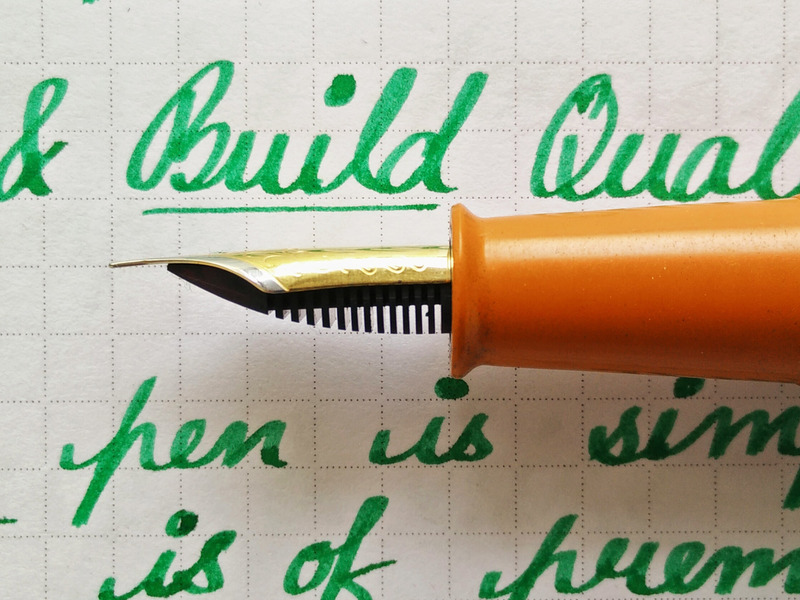 My pen came with Dual Tone JoWo 1.5 Calligraphy stub and it writes amazing. has amazing line variation and is not at all scratchy. 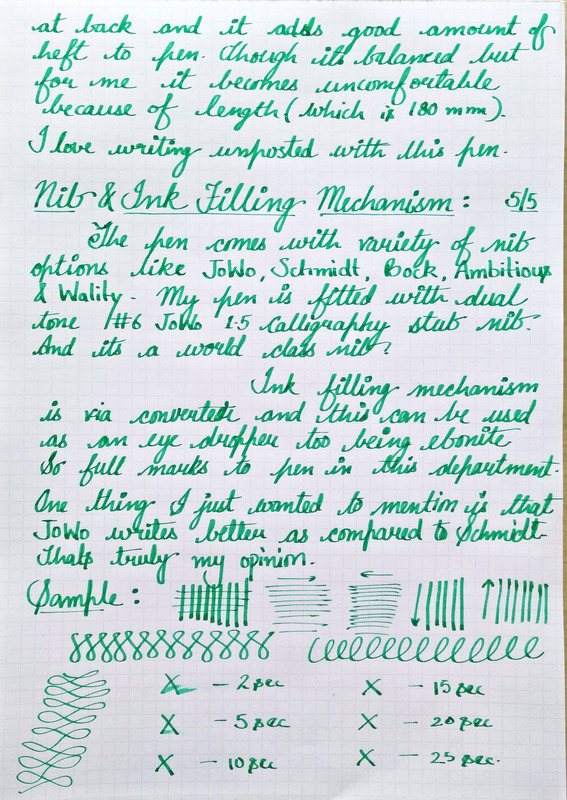 The pen has various nib options like JoWo (EF, F, M, B & 1.5) , Schmidt (F, M, & B) , Bock (F, M, & B – with Conklin imprinted) and Ambitious (F-M). 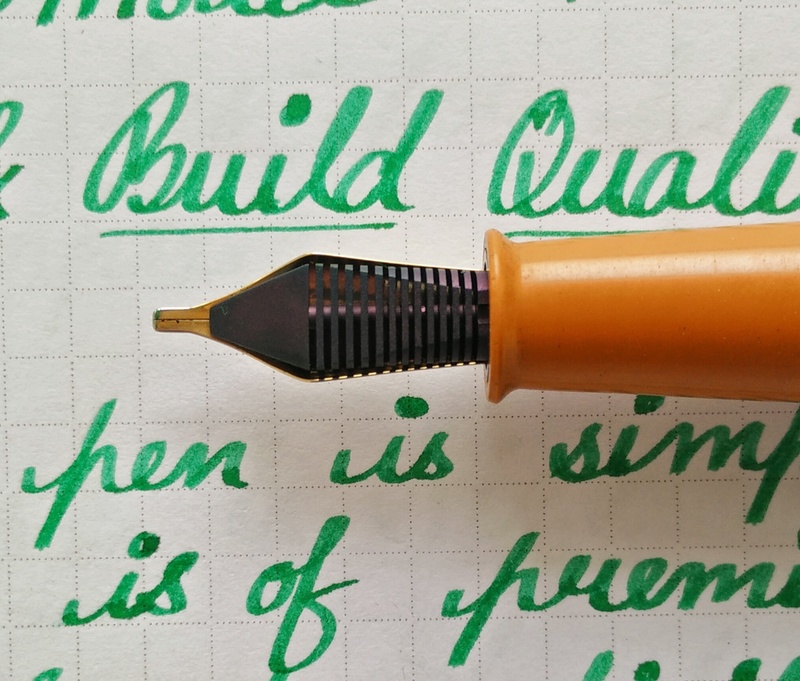 I am really happy with my JoWo 1.5 Stub. It writes superb. 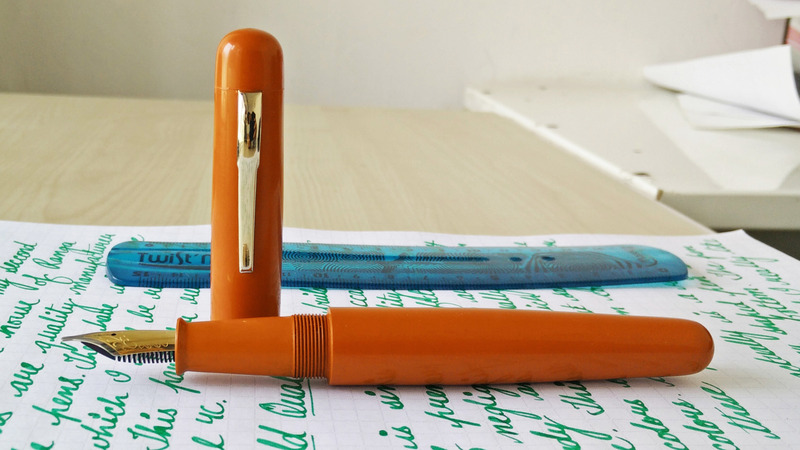 Ink filling mechanism is via Cartridge converter and the material being ebonite can be easily used as eyedropper.I prefer the flexibility of the pen to be used as eyedropper which lot of pens don’t give. I love the size shape and finish of the Model 4C. Its a regular sized pen with girth and i Like that and premium ebonite is like cherry on top. The price of 4200 seemed expensive in beginning but beleive me it was worth it. Hey there. 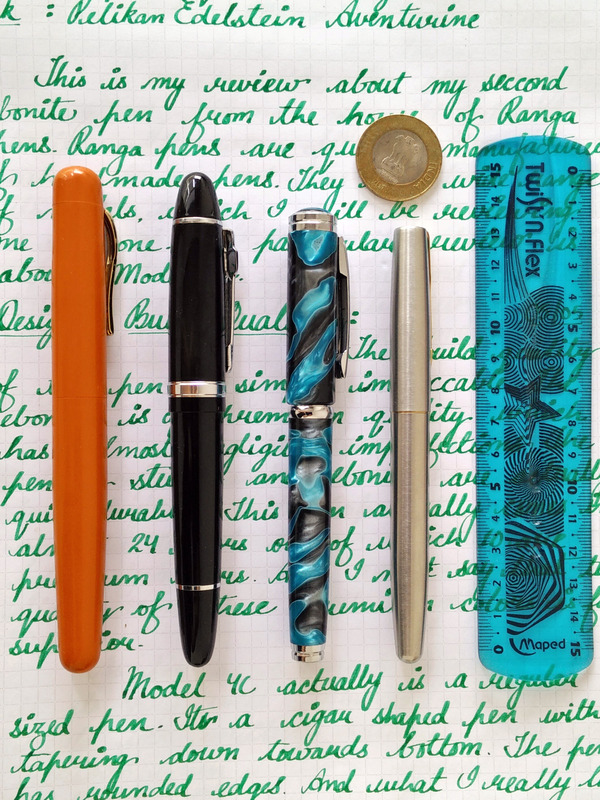 Was going through the different reviews for the pen. I enjoyed the reviews. They are quite informative. But there is a thing that I found strange. Pens like Ranga and Asa are not really available on Indian websites. All places indicate dollar rates and that too with long delivery schedules. Is there something that I am missing? I have have been following all your posts for quite some time now. Needless to say that I find them very eloquent & well written. I have become a fan of Ranga FPs & would want to buy a Ranga 4C model in the very same orange hue (which you have featured in your review.) 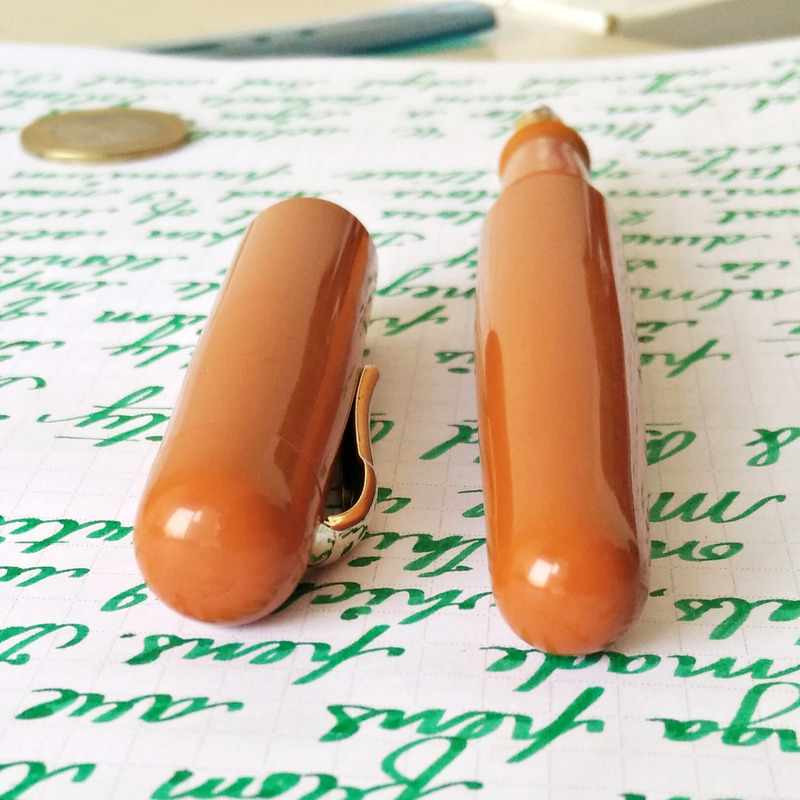 with a gold tone medium point nib. I live in Mumbai. How do I go about this? Appreciate your views. How can we buy Ranga Pens online from India? 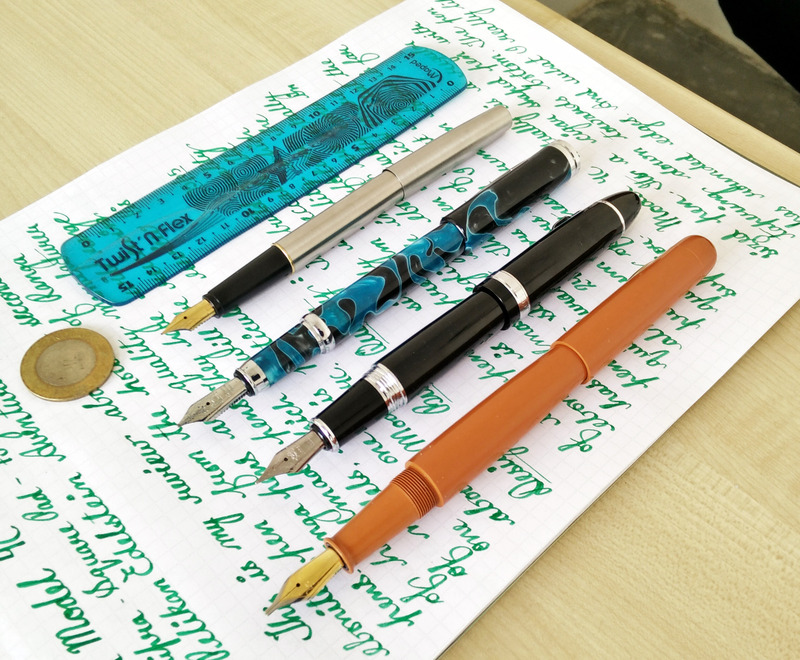 I just love your Reviews, every single time, by the end of the review and the pics, I am totally into it and the pen turns out to be an must have, every single time. I am a big fan of your reviews and pictorial representation sharing the beauty and hard work behind the skills of the maker is very evident in all the pics. Kudos on bringing out another great looker Vaibhav, superb. 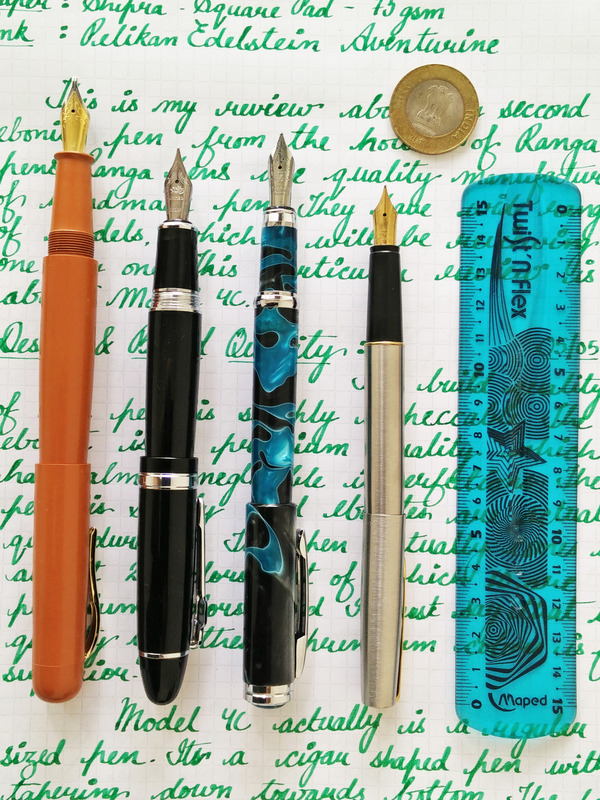 wishing you a load of more great pens and reviews ahead. First of all thank so much for the compliments.. Secondly it’s because of you friends I am really inspired to do more reviews..